Provide a warm and cozy touch to your decor and give a vibrant beautiful atmosphere to your home by putting this afghan runner into your room. It is woven in wool and cotton material. It is a highly durable rug. This is an Afghan Runner carpet which is hand woven in a hand-knotted technique. For providing strength, weavers used the finest quality of cotton as warp in this runner. 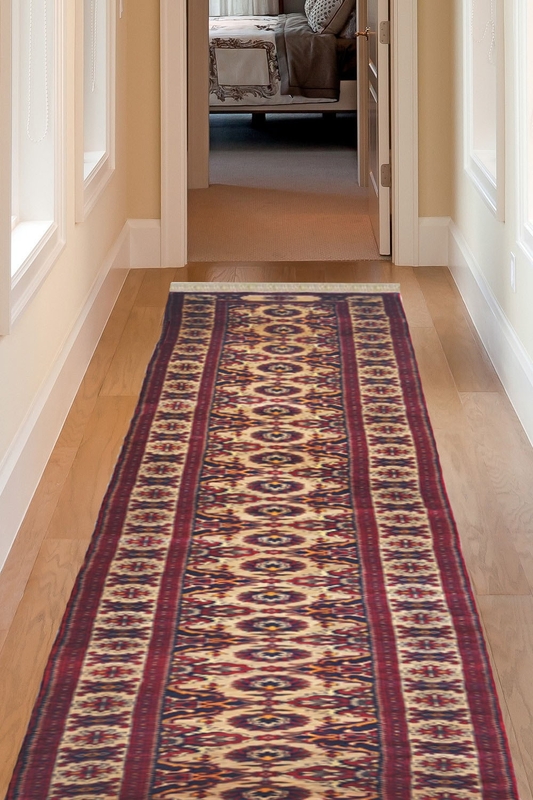 This carpet contains tribal kilim design which is a very traditional design.